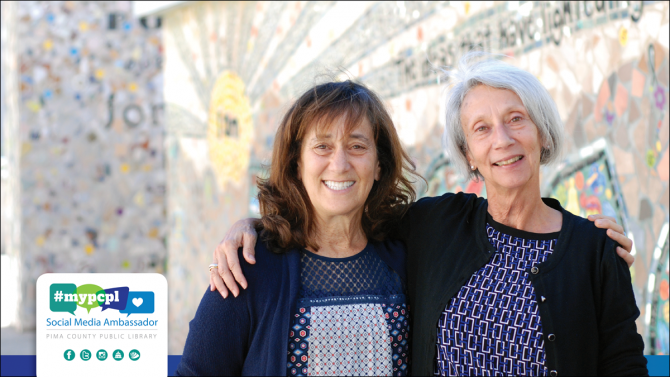 The Pima County Public Library invites you to participate in extending our reach into the community by becoming a Social Media Ambassador or #MyPCPL. Help raise awareness of the Library on social media and at the same time, raise the Library’s awareness of you, its supporter. Ambassadorship is one way to volunteer for the Library - no application required! Simply sign up to receive a monthly Social Media Ambassadors #MyPCPL email. Be in the know: you will receive an eNewsletter every month or two with a personal note from one of our staff members sharing something about what they do in their corner of the library, as well as news you might be able to share on social media. We’ll give you the scoop on Library programs and projects and highlight relevant hashtags. Help us raise visibility in your communities through personal social media posts with your take on what we have going on. Special stuff: Though your participation takes place online, occasionally we will organize special in-person events at the Library just for our ambassadors, such as sneak peeks of new libraries before they open to the public. 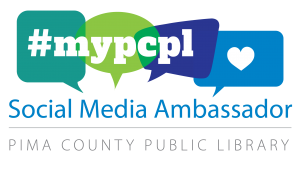 Sign up for the monthly Social Media Ambassadors #MyPCPL email, where you'll find out about something cool from a different staff member every month. Add the Library on your favorite social media platforms. Do you have a favorite branch library? Please add them too -- they are all on Facebook. We hope you will share your own stories and observations and what you love about the Library on your favorite social media platforms: Facebook, Instagram, Twitter, LinkedIn, Snapchat, etc. Nope, there are no quotas or posting deadlines. Just post when you are moved, and remember to use the #myPCPL hashtag. what you're reading, watching and listening to. Use the #MyPCPL hashtag every time you post about the library to Facebook, Instagram, Twitter, etc. Tag us too!